Brooklyn has been a very diverse place for many decades. There is only one place that still looks back at in the most accurate sense of this borough and that is the Brooklyn Historical Society. My visits there have changed my thoughts and views of this little island. In terms of architecture, people and archival research. Ever since reading Brooklyn Was Mine by Jennifer Egan i was convinced that her experiences will lead great ones of my own. Jennifer writes about her experience with one Lucille Kolkins letter exchanges with her husband who is out serving his country. Egans emotions play a big role in her story, I can say that after reading Lucys letters myself i can relate to what Egan is saying in her essay. These letters really touch ones emotion because of the love that is invested both by Lucy and her husband in these letters. Egans essay not only includes the story behind these two people’s lives but it also shows her skill for archival research. Her use of the library database and such. Another archival researchers interpretation has given me a lot of information on how to properly “dig up” information. 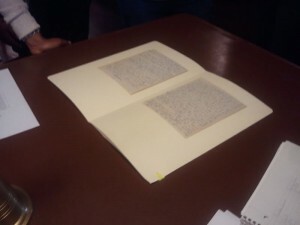 Meg Norcia’s archive fever and her experience with ancient Civil war code letter has sucked me into archives. She like me experiences excitement and asks herself a lot of questions when stumbling upon something very old but new at the same time (to her). This type of hooking experience can change one’s life simply due to interest. Meg’s experiences and emotions have transferred into my life shortly after reading her essay. Every time I enter the Society all I could think of is the smell of the wood and its history, the pairs of feet that walked up and down those stairs and so on. Being an undergraduate architect student the Brooklyn Historical Society has given me access to not only my favorite interest but has also given me very important information about the history of the field I’m studying. Numerous improvements happen throughout the 19th century which paves the way for modern and safe architecture. 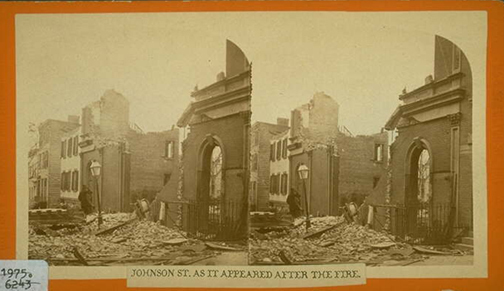 One very good example of catastrophes that happen during that period of time which change the lives of people and architecture for those future generations is the Brooklyn Theater Fire of 1876. The events evolved like this: a local Brooklyn Theater sold out for a evening show which went all wrong half way into it. The kerosene lamps used to light the inside of the Theater caught on fire with the massive oil painting which then caught the curtains on fire. The actors where actually trained for situations like this and they tried to keep the crowd calm until the fire burst into flames and a panic attacked. The theater had 4 levels and the cheapest being up top. Hundreds of people died due to the unprepared tragedy. I examined primary sources such as formal requests being sent to the organization that covered the victims and their families with a form of compensation. These letters contained various amounts of information. Some talk about how they can’t afford their relatives funerals and others talked about how they personally suffered and what they lost. Most of the letters had signatures of approval in the margins. The funeral receipts of victims are very expensive. These receipts contained information on how much of the funeral the organization covered. Some got full coverage and some got portioned coverage. After hearing about this event i myself had various structural questions. I looked at a map of downtown Brooklyn form that time period and a few questions popped into my head. The vicinity of the theater? the spacing between buildings around the theater, the map insists that there were not many. The Theater contained one exit. This particular event lead to occupancy limits, exit signs and proper amount of exits in a building depending on occupancy, parallel door locks in case of panic so people can push against one another and get out as well as better material evaluation and combination. I recently read the Copyright and cultural institutions [electronic resource] : guidelines for digitization for U.S. libraries, archives, and museums / Peter B. Hirtle, Emily Hudson, & Andrew T. Kenyon. In discussion of copyrighting, a controversial issue is whether there is a chance of copyright infringement. While some argue that it is int, others contend that its a serious matter. Many institutions are creating web sites available to the public that allows users to view online exhibits, and other kinds of archives. The Copy right and Cultural Institutions, was created to help understand the law of copyrighting. 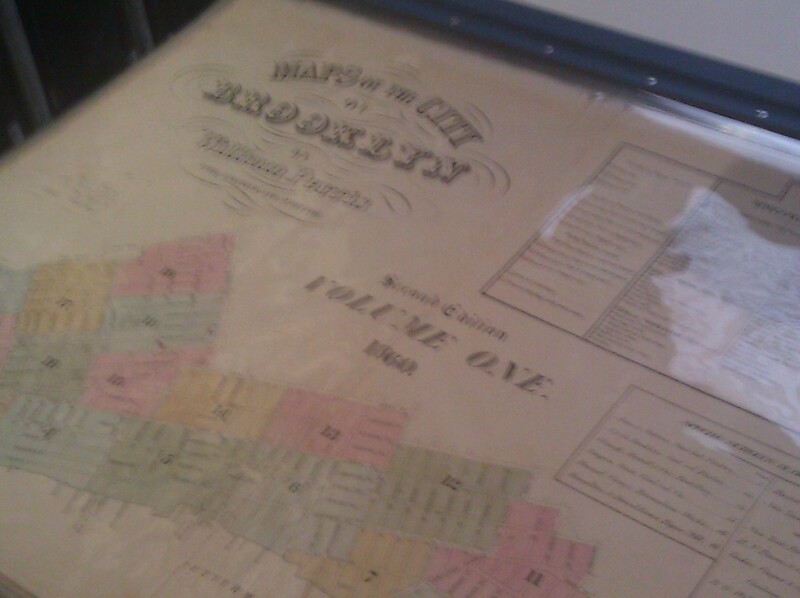 Archival research at Brooklyn Historical Society has opened up many levels of interest for me. Most importantly it has taught me a lot about how to research archives and how to develop your research from beginning to conclusion. Since first visiting BHS i have been interested in variety of topics such as the Brooklyn Navy Yard and its diverse work force throughout the 20th century starting with men and transitioning to women during the Cold War. disease spread in Brooklyn throughout the past 200 years, Cholera for example which causes extravagant and brutal cramps, puking and diarrhea, with excessive water loss so quick and strong the blood thickens and the skin becomes pale, cholera can kill a human in a couple of hours. Chickenpox is another disease during that time period, although was less serious because a human could survive from it and various other diseases. 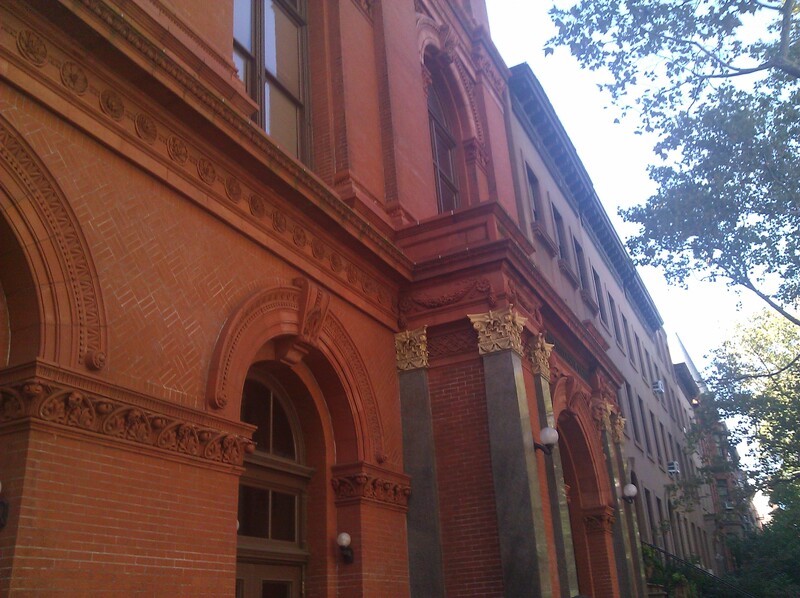 My visits to The Brooklyn Historical Society have been as remembering as the history inside it. This entry was posted in Uncategorized and tagged finalproject. Bookmark the permalink.